The announcement of fourth-quarter earnings by companies, soaring oil prices, and a tumbling rupee are among the major factors that are expected to steer the indices on Tuesday. Bajaj Consumer Care and Simplex Projects will report their March quarter earnings on Tuesday. Oil prices reached their highest level since November as concerns over exports from war-torn Libya stoked tightness in the market, with global supply already hit by OPEC-led production cuts and US sanctions on Iran and Venezuela. The rupee, on the other hand, declined by 44 paise to close at 69.67 against the US dollar on Monday amid higher dollar demand from importers and rising crude oil prices. 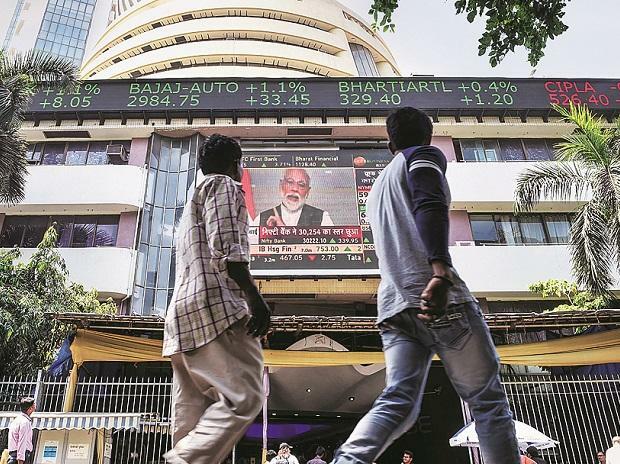 Apart from these factors, the investors will also track closely stock-specific action and FII inflows while the countdown to the 2019 General Elections kick-off may also have some effect on investor sentiment today. On global front, British Prime Minister Theresa May will meet German Chancellor Angela Merkel and French President Emmanuel Macron on Tuesday. On the US-China trade talks front, a top White House official has said the US was “not satisfied yet” about all the issues standing in the way of a deal but the US did make progress in talks with China last week. The equity benchmark indices ended a volatile session in the negative territory on Monday. The S&P BSE Sensex shed 162 points or 0.42 per cent to close the day at 38,701 while the broader Nifty50 index of the National Stock Exchange (NSE) closed below the 11,650 level to settle at 11,604.50, down 61 points or 0.53 per cent. Asian shares got off to a subdued start on Tuesday as investors braced for key events later in the week, including the kick-off of the US earnings season and a crucial Brexit summit, while broader concerns over slowing global growth checked sentiment. MSCI’s broadest index of Asia-Pacific shares outside Japan was basically flat after brushing its highest since late August last year during the previous session. Australian shares dipped 0.25 per cent while Japan’s Nikkei was down 0.15 per cent. Jet Airways: Abu-Dhabi based Etihad Airways, TPG Capital, and NIIF are likely to bid for Jet Airways, according to a Business Standard report. Potential bidders have time only till Wednesday evening to submit their expressions of interest (EoIs). Bharti Airtel: SEBI has approved the company's Rs 25,000-crore fund-raising plan. Fortis Healthcare: Fortis Healthcare has started looking for buyers to purchase its 27.8 per cent stake in Singapore-based arm RHT Health Trust, according to a report. Also, Girish Gupta has stepped down as CFO with immediate effect, and Vivek Kumar Goyal has been appointed as the replacement. Coffee Day Enterprises: Coffee Day Enterprises has said Japan-based Impact HD Inc will acquire 49 per cent stake in Coffee Day Consultancy Services Pvt Ltd (CDCSPL) for $15 million, as per a PTI report. Sun Pharma: The company's wholly-owned subsidiary Sun Pharma Distributors Ltd (SPDL) will commence distributing its formulation products in India from this month in a phased manner. Panacea Biotec: India Resurgence Fund, promoted by Piramal Enterprises and Bain Capital Credit, along with its associates on Monday announced an investment of up to Rs 992 crore in drug firm Panacea Biotec. DLF: The Singaporean government sold 3.8 per cent stake in the company worth Rs 1,300 crores.